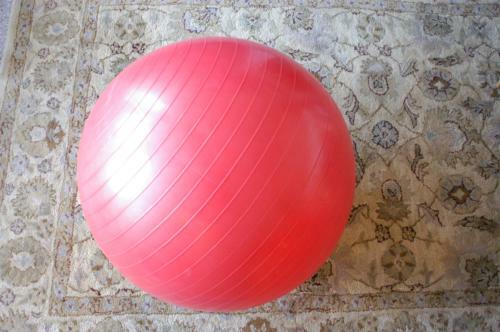 Ball Work & Sitting Work: Our bodies are designed to interact productively with gravity. When we are out of alignment or hold ourselves too tightly to use this phenomenal design, it is exhausting being alive. When we are in integrity and appropriately taut, gravity supports us, and it is far more delightful living on Earth. Ball Work: On the ball, clients get a somatic sense of where they are in the spectrum, and it provides insights that assist in going deeper with other concentrations. Consider it a playful warm-up and awareness builder as well as a method in its own right to go deep into healing. Sitting on different surfaces influence different awarenesses. Reflexology Work: There are maps of the entire body on your ears, hands, feet and head. There are 72,000 energetic points on your meridians, each leading and energizing somewhere else in a system. We will find ways to tangibly connect those systems in new, rejuvenating ways. Reflexology work is generally conducted with the client supine on the table or in a seated position. Ears: Ear work can be particularly interesting and helpful as they usually have the fewest impediments wired in from ego and habituation. Head & Face: Generally the most expressive part of our physical selves, focusing on just the head and face is great for sinuses, TMJ, wrinkles, senses with diminished functionality and chronic neck issues. Feet & Hands: Most accessible and least invasive to personal space, working from extremities allows us to create wellness everywhere as well as approach more direct issues such as extremity pain or chronic numbness. Perhaps ironically, headaches can be best relieved from working through hands. This work supports sensitivities in other areas not yet ready for direct touch… Our hands, feet, arms, and legs are also very important to the multidimensional labyrinth of our bodies and selves. Massage Therapy: Focusing on the entire body is clearly the most integrative solution most of the time, and incorporates many of the other concentrations including table work and a summary email. Sessions are concluded with an email that captures sentiments and next steps as feel true and comfortable to the client; this allows deeper reflection and strengthens cognitive awareness. Energy Work: With 12 anatomical systems all operating from a different model, our 50 trillion cells come together in an energetic complexity. Our subtle body that governs the integration of everything headquarters in the nervous system, and provides an exciting frontier for science to unearth regarding health and healing. Energy work can include reiki healing and chakra balancing as well as holistic habits counsel. Aromatherapy: Complimentary healing aromatherapy sprays are used (unless you’d prefer not) to elevate the experience and provide wellness directly to your skin. All handcrafted Sensory Revolution alchemy sprays are anti-pain and anti-depression formulas, with unique properties offered with each blend. Holistic Habits Counseling: Reframe the context of your perception to better support your goals and dreams. Enhance your awareness to evolve consciously and therefore live the life you desire, empowered in accordance with your design. Increase your understanding of how physiology and mind-body connections affect your ability to be sensitive and intimate with your self and each other at levels you desire. Learn bodywork techniques (like breathwork) that complement your current sensibilities. Reframe the context of your perception to better support your goals and dreams. Enhance your awareness to evolve consciously and therefore empowered to live the life you desire, in accordance with your design. Partners’ Workshop is a profound way to explore self and each other. Partners each receive practitioner bodywork in witness, instruction in general self and partner care, plus practice together with gentle articulate guidance. Discover new possibilities through this union of Bodywork Massage Therapy (see above), Self-Massage, and Massage Therapy. With emphasis on dogs and cats, this special work is sure to please your four-legged friend. Great for animals who are stiffening, those with excitable moods that saturate their human companions, injuries on the mend, general well being checkins and relationship building. Expect touch and energy work, healthy play and coaching for human perspective as needed. Rates coming soon. Please call or email for more information.